Please send us your completed entry form one week prior the competition. There is no registration fee. Entry fee is $18 (GST free) per player. Cost is $14 per Student for Host Schools. You don’t need to pay in advance. Schools will be invoiced after the event. These Interschool competitions are safe and great fun for kids. Contact us for more information or to reserve your places. If you don’t know the names of the players you want to enter into these tournament you can do it later. Please read: Safety Information for Schools who participate in SA Schools Teams Chess Championships. Find out more about Interschool competitions in South Australia here: SA Schools Teams Chess Championships. 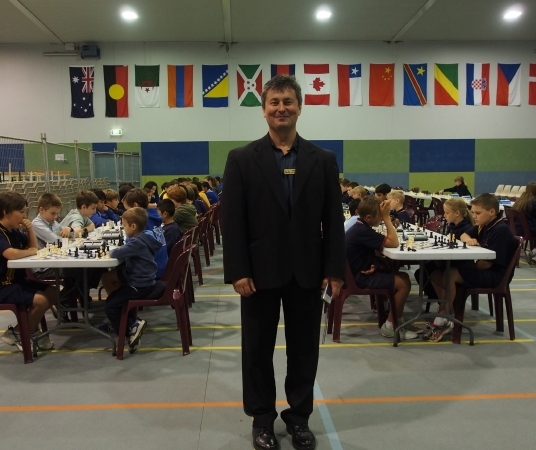 “SA Schools Teams Chess Championships” is South Australian chess organization that runs Interschool chess competitions in SA. Our competitions are run in a fun and safe way. Please Contact Us for more information or if you wish your School to take part in Interschool chess competitions.